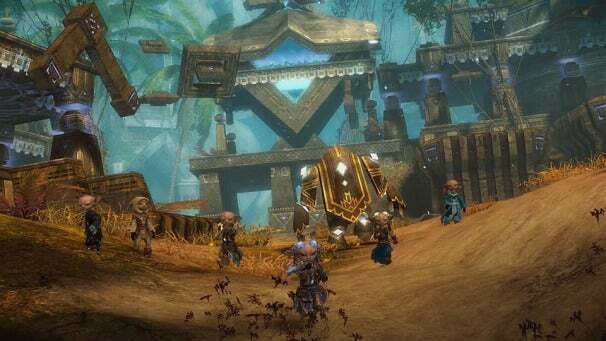 Guild Wars 2 had it’s third and final beta period this past weekend. It’s the last time most people will get to see the game before it’s release on August 28th; we played the game for three days and we’ve got three days worth of thoughts on ArenaNet’s sequel to Guild Wars. Today’s entry will focus on the game’s general feel with more in-depth looks at the MMO’s original spins on PvE and PvP content coming later in the week. 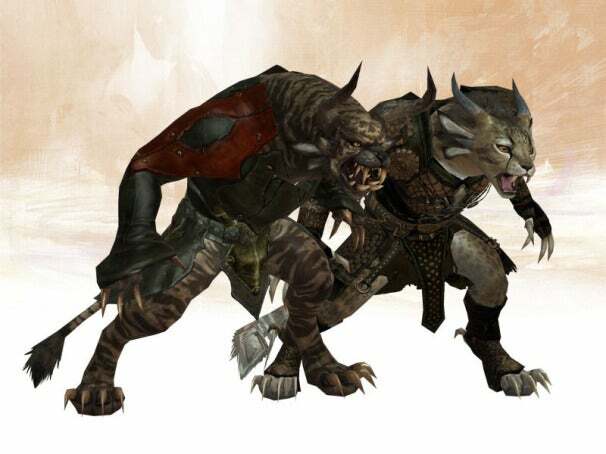 Guild Wars 2 has a lot of content for an MMO that’s about to launch: five races with original starter areas. A complex crafting system. Tons of zones and dungeons to level through. And 40 movies' worth of voice acting to tie it all together. Even by MMO standards the game seems absolutely bursting with different things to do and explore. Of course part of that is that Guild Wars 2 isn’t “just launching”; the game is built on top of the same engine and world that ArenaNet has spent years creating content for with the original Guild Wars, which gives them a real leg up in populating their virtual world. 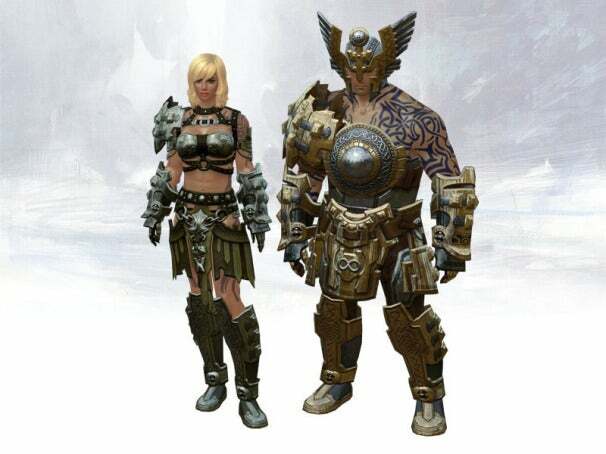 All of that content would seem par for the course in an MMO launch if it weren’t for the ridiculous amount of customization ArenaNet brings to the table. I found myself spending half an hour to an hour just sorting through all the options I had on character creation. In addition to getting to chose your characters race, gender and any one of 8 different professions, your characters model is fully customizable. While the number of customization options varies from race to race, even the least customizable has hundreds of different ways to customize their hair, face, tattoos…honestly just the list of customizable options would take all day. While the general gear you start out with is dictated by your chosen profession, you do get to customize it with the game’s dye system that lets you chose up to three (sometimes four on specific pieces of gear) separate colors for your equipment. That means if you want your fire-based elementalist to be fond of reds and yellows instead of the standard-issue blues, you can! Best of all these color choices stick around as you level, automatically adding the same dyes to new pieces of equipment as you receive them. Customization of your character isn’t limited to your appearance. After you’ve set your character’s look you’re given a brief questionnaire based on your chosen race and profession that lets you choose your character's values and history. While some of these questions are just for flavor, others determine your character’s personal storyline. During the beta each race had nine different variations on their personal story that could develop from their questionnaire, and while the personal storyline stopped at level 20, potentially there could be even more variation in these events when the game goes live. I don’t want to sound like all that content means Guild Wars 2 doesn’t have flaws. Perhaps the most worrying feature in Guild Wars 2 is gems, a currency that can be quickly and easily bought for real money. Gems can be traded for in game currency or used to buy short-term buffs and some appearance-modifying items. It’s a micro-transaction story of the type that’s becoming increasingly common in MMOs, and it’s a way to make some extra money without charging customers a monthly fee. The advantages to using gems range from fun and minor to annoyingly necessary. For example, adding extra bank tabs and character slots can only be accomplished by paying with gems. Though you could trade some of your in game gold for the requisite amount of gems and purchase your upgrades that way, some of the upgrades still seem a little too necessary. Given that the game has 8 character professions and only five character slots, for instance, most players will probably want an extra character slot or two. The game also gives you mystic chests with regularity. These chests contain impressive upgrades and often have some fun appearance altering items as well but can only be opened by mystic keys. The easiest way to get mystic keys (of course) is to buy them from the gem store. Despite my annoyance, the gems weren’t too disruptive to my beta play. Alternate ways to gain mystic keys and other items purchasable for the gem store were available (if not particularly plentiful) and the exchange rate between gems and in-game gold seemed reasonable (though it’s set by player sales, so who knows what it will be like when the economy gets going). Mostly I’m suspicious of micro-transaction economies in MMOs on principle and the fact that Guild Wars 2 has one, even one that seems well thought out and relatively harmless, makes me uneasy. Both the game’s PvP and PvE innovations have their own sets of problems that we’ll explore further later this week. However, Guild Wars 2 has a lot to recommend it, especially considering that, like the original Guild Wars, the game will come with no monthly fee. Regardless of the game’s success or failure (it’s been a tough year for the MMO market in general) you can expect to see many of Guild Wars 2’s features making their way into other MMOs before too long. Good ideas have a way of spreading through the MMO genre quickly, and Guild Wars 2 has a lot of good ideas that we’ll discuss further in our next two articles.